The kid on the left. With the perfect peyos. "US Senator Joe Biden who is the Democratic Vice Presidential Candidate recently met privately with Ezra Friedlander and Simcha Eichenstein of The Friedlander Group, to discuss how the Jewish community feels about the Obama--Biden ticket and how they can reach out to the Orthodox Jewish electorate in key swing states including Florida." Ok, let me get this straight. A couple of guys with keys and cellphones start a PR firm or something to that effect and they now speak for me?! For tens of thousands of other people who never heard of them before? Did something happen while I was away that allowed this to happen? Did all the Rabbonim and elected officials ride off into the sunset and leave the community to these guys? Wait, that gives me an idea! maybe I'll start a "PR Firm" and call myself an activist. Seriously though, I thought Crown Heights had it bad with all its bickering and such, but this takes the cake. If you grew up in New York you know there are faces that you recognize as machers. Many are stam do-nothings, and many - often affiliated with organization that do lots of good - are people that are connected to the community and its leaders - if there are leaders. But this? איך האב געבעטן א פריינד מיינעם וואס איז מער באהאוונט פאר מיר אי אין איינגליש אי אין קאמפיוטעריי צו ווארפן א בליק און זען דעם צושטאנד פון אהבת ישראל אין דעם דאזיקן בלאג אין די געציילטע טעג פאר ר"ה. צום באדויערן קיין גליק האב איך ניט געזען. נאכמער- עס קוקט אויס אז מענטשן באמת מיינען אז דער אייבערשטער איז זייער צופרידן מיט זייערע "צורעכט מאכן" אלערליי קאמפפונקטן וועלכע שטייען אקעגן דעם יידישן פאלק און יידישקייט - ממש לוחמי מלחמות ד'..... קינדערלעך האט רחמנות אויף זיך! הערט אויף מיט די נארישקייטן אן קער זיך אום צום לערנען און עבודת ד' איך קאן אייך צוזאגן אז קיין גוטע רעזולטאטן וועלן דערפון ניט אויסקומען פאר קיינעם. צוויי באמערקונגען: צום ערשט - דער חשוב'ער אנפירער פון דעם בלאג ר' הירשל זיכער האט זיך ניט פאסיק אויסגעדריקט. מען טאר ניט צוגלייכן כלל וכלל די יידישע השקפות מיט להבדיל נצרות אפילו נאר צו פארגלייכן א קליינעם פרט. וואס ער האט געדארפט שרייבן איז אז כאטש די אלע תורה השקפות,דרכים, און גדולים כולם אהובים כולם ברורים וכו' און בגדר אלו ואלו וכו', אבער אז עס קומט צו אויסקלייבן אן אייגענעם דרך און אן אייגנעם רבי דא קאן און מעג א ייד שפירן דאס אויסגעצייכנקייט פון זיין דרך און זיין גדול. דאס מיינט ניט חלילה אז מען מעג דערנידריקן די אנדערע- נאר אויפהייבן זיין רבי און מקיים זיין די מצווה פון כבוד רבו. צווייטנס: זיינדיק א ייד וואס גאנץ לעבן לאנג געלערנט און געהאדעוועט געווארן אין ליטווישע קרייזן, בין איך בפירוש מוחה אויף די זילזולדיקע אויסדרוקן וועגן דעם ליובאוויטשער רבין און זיין שטעלונג צום חשיבות פון למוד התורה. שומו שמים! צענדליקער מיט צענדליקער גדולי ישראל אין וועמענס ד' אמות האב האב געהאט דעם זכות בייזיייק צו זיין זיינען בהתפעלות געווען אי פון זיין גאונות אי פון זיין הרבצת התורה. איך וויל זיך ניט איבערחזרן נאר איכ'ל דערמאנען עטלעכע ווער זיינען אין עולם האמת - ר' משה' ר'שלמה זלמן, די הייליקע גערער רביס, הרב יאללעס, הגאון האדיר הרב הירשפרונג זצ"ל, מען קאן פארזעצן אן אן עק אבער נאר איינער וואס האט קיין שייכות ניט מיט עולם התורה קאנט עס לייקענען. דער אנאנימנער שרייבער וואס רופט זיך "א שטאלצער ליטוואק" פארשעמט אונדזערע גרויסע הייליקע ליטווישע גדולים און בפירוש שטעלט ניט פאר דעם עולם התורה. נאכאמאל, בעט איך אייך הערט אויף מיט פטרן צייט און ספעציעל מיט נעגאטיווער רייד און אין זכות פון דעם זאלט איר אלע געבענטשט ווערן מיט א גוטן געבענטשטן זיסן יאר אין אלע הינזיכטן בתוך כלל ישראל. In case you fail to see it here's my point. Most people I know fail to make ends met way before they get to marrying off their kids. They have real trouble paying their kids' tuition, camp and buying clothes for school and Yom Tov. They have a very difficult time paying for car repairs and utilities, dentist visits and Daled minim, a leak in the bathroom and an occasional suit for the man of the house. And that's people with two well-paying jobs and smaller families. Young couples who began working in their 20's and are college educated can have tens of thousands of dollars of unpaid debt by the time their kids are old enough to go to yeshivah gedolah and seminary. OK, so now you'll tell me that chassidishe girls don't go to seminary, and that their bachurim don't go to expensive yeshivos. Right. None of the "takanos" put forth by I'm sure very well-meaning Rabbonim and askonim deal with how to get to the point where you marry off your children! COL showed this today, memoirs from the Rebbetzin Shterna Sarah and the story of her lineage from the Alter Rebbe written in her own handwriting. I'm surprised to see it, really I am. This may shock some of you, but where my family comes from, especially in the parts where the girls were not forced to go to Government schools, women didn't know how to write. period. They couldn't sign their own name, let alone write a memoir, and they definitely could not write like THAT! I imagine other women in Russia and Lithuania could write as well; she wasn't the only one got a private tutor to teach her to write. So we see a different approach in women's education, even at a time where everything else was basically the same. The Rebbetzin was born in the 1860s, so there is no "modern" excuse here, as can be made a generation or two later. Her father was a Poilishe Rebbe who went from Chabad while his father the Tzemach Tzedek was still alive and assumed the ways of Chernobel, so its safe to assume that they had the same set of rules and priorities that the other Chernobler kinder had. I've been told by scholars and amateur historians alike that much of what we do and believe as Jews today has no real basis in Judaism. I mean behavioral and cultural things, not Mitzvos, c"v. Whether Ashkenazic or Sefardic (Sefardim maybe especially so.) We're superstitious like the Goyim and we used to treat the women like our non-Jewish neighbors did. They were meant to stay home, wash laundry, clean and cook and womanly things like that. We could chalk it up to Talmudic statements saying how you mustn't teach your women Torah, but what does that have to do with learning how to sign your name? The other option would be to say that it had nothing to do with Judaism, it was a cultural thing. For some reason it seems like some Jews saw past the cultural thing and decided it WAS important for their female offspring to at least have a basic education, no matter what conventional wisdom said. To be fair, it may have had something to do with lack of funds, as most Jews could hardly afford Melamdim for their boys, whereas Rabbonishe, Rebbishe, and Balebatishe types may have had some extra cash for amenities like that. So maybe it's not an Hungarian thing. What some of us knew was very, very common these days among any darshan and mashgiach seems to have been going a long time, according to the article in Mishpacha this week. According to Yehuda Leib Frank, son of the famed Rav of Yerushalayim, who was sent from Eretz Yisroel to learn in Da Mir and lived ah tir tzu ah tir to Rav Yeruchem Levovitz, zt"l, famed mashgiach of Mir, Tanya, the magnum opus of Rabbi Schneur Zalman of Liadi, founder of the Chabad Chassidic movement, was the primary source for RYL's discourses at the Yeshivah. It should be of no surprise to any of you, but I believe it'll be denied by the family, all ardent misnagdim to chassidus. After all, if THE mashgiach used Tanya as his primary source then why not go to the source itself, rather than a watered down version of the source meant to conceal it and make it look like some original? We know how Rav Dessler's family denies his documented connection to Chassidus and Chassidim, even after a large stack of letters was found recently further attesting to that fact. Which leads me to wonder as follows: If so, if a simple bochur in Yeshivah at the time knew that the mashgiach's was heavy into Tanya why then did Reb Chatzkel, Reb Yeruchem's replacement in Mir and later Rav Dessler's replacement in Ponovezh, why was he so against Rav Dessler's neo-Chassidic shmuessen and writings? Everybody knows that Reb Chatzkel, himself from a chassidic home, was very upset at what Rav Dessler was teaching, claiming that it's not "unzer derech." But if everybody knew that basing whole shmuessen on Tanya WAS unzer derech why go and revise history at the expense of Rav Dessler? According to published reports Dr. Ben-Zion Twerski has withdrawn from any public role in Dov Hikind's crusade against sexual abuse - a very noble cause indeed. He wrote a very long letter to VIN telling of verbal abuse and all kinds of threats he's received over the last days ever since he announced his involvement. In his own words: “I was prosecuted in the street for daring to join such a venture.” To protect myself, my family, and reputation, I decided to withdraw from this project,” he wrote in an e-mail. From this point, I am avoiding participation in any forms of public service. Public life is not for me.” I don't believe this has ever happened before, criminals threatening people who try and help the victims of terrible crimes - at least not in the frum world. It definitely has never happened to a Rebbishe Kind and a professional of Twerski's caliber. I doubt even Rabbi MD Tendler had to put up with this kind of harassment, even at the worst of times, so why does Twerski deserve this? I have a theory, tell me what you think. 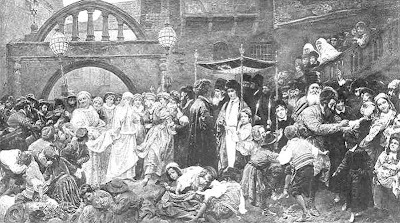 We all know how the Twerskis are a shining example of yidden, chassidim, yerei shomayim who despite growing up "out-of-town" and attending prestigious colleges - often Catholic Colleges like Marquette - clung to their traditions to the last details, even some of the more ceremonial ones like the strukkes on the Bekishe. After two generations most of them came "back to the fold" in Boro Park and Flatbush and joined the thousands who live a very secluded lifestyle, a far cry from Milwaukee and Pittsburgh. Reb BenZion is one of those who moved to Boro Park and became a full-fledged member of Bobov. His children do not attend colleges and I doubt they're exposed to what their father was exposed to growing up. BenZion Twerski thought all was well - his Rebbishe credentials and professional background would surely of allow him at least to speak his mind and help those who were hurt by those who were supposed to educate them in the Torah's ways, right? I'll say this much, it takes guts to print such a letter. Those of us "on the outside" who have been wondering from a distance what ever happened to Isaac Hersh after he was rescued from Tranquilty Bay in Jamaica, finally got a small answer. Seems, last week he was at the chasunah of the Kamenetsky Family. So thanks to a public photo, Isaac Hersh shows up in person in the YATED NE'EMAN of 5 Elul 5768/September 5 2008, Center p. 17. Wow! Months have passed since the rescue of Isaac Hersh from Tranquility Bay, and the uproar that surrounded the whole fiasco, and since his return it's been quiet with people scratching their heads. Last heard, an agreement was reached and he was in the "custody" of a friend of the family in Brooklyn. But now, in the colorful center page of the latest YATED, in the bottom right page, "At The Kamenetsky-Rosthstein Wedding" is none other than "Isaac Hirsch" (sic) in between Rav Sholom Kamenetsky and Rav Moshe Feurst, who is next to Rav Tzvi Basch. I always look at the photos of the YATED and MODIAH very carefully, in the spirit of "Kremlin watching" because they often reveal more than most of the articles, in the spirit of "a picture is worth a thousand words". I had to do a double take. Was that really THE Isaac hersh that split the Moetzes Gedolei HaTorah against RAS? I looked closely. Who else could it be in casual wear, blue leather yamulka and the face that matched all the ones I had seen of Isaac Hersh till now. Yup, it was him alright. But what was he doing at the wedding of Rav Mordechai Kamentesky's daughter's wedding, with the entire Kamenetsky clan? Out of six photos devoted to this wedding in the YATED, three of them have several Kamenstskys in them. There is Rav Binyomin Kamenetsky, brother of Rav Shmuel and father of Rabbi Mordechai. RSK is not pictured. One connection, and it is intrigueing is that Rav Yacov Lipschutz who is also pictured is also a zeidah of the kallah, and he is the father of the YATED's editor, Rabbi Pinchos Lipschutz, so that it seems that the Lipschutz family shares both family and perhaps even some communal concerns with the Kamenetsky family and that PERHAPS Rabbi Pinchos Lipschutz is doing has share for making "shalom beYisroel" in keeping with RSK's open warfare against, and defiance of RAS on the Isaac Hersh matter. 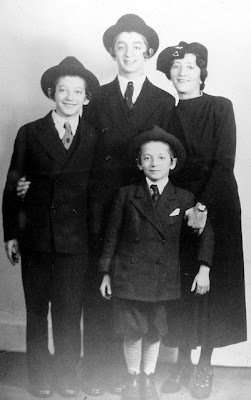 And it therefore seems that RSK does not stand alone and that his entire family, and by the implication of these latest pictures in the YATED, RSK's extended family and some of their mechutonim and family friends support him (RSK) to the hilt against the hard line views of RAS who backed the father of Isaac Hersh in exiling Isaac Hersh to Tranquility Bay in Jamaica in the first place. Meanwhile, over at the recent edition of the HAMODIAH, in what may a be a case of grand scale divine co-incidence, on the front page of the Wednesday, September 3, 2008 edition, there are two photos, one of Yeshiva Rabbi Chaim Berlin and an inset of its Rosh Yeshiva RAS under the heading "Beginning of the Zeman" with the caption: "The bachurim of Yeshivah Rabbeinu Chaim Berlin listen as Hagaon Harav Aharan Schechter, Rosh Yeshivah, delivers a maamer in conjunction with the pesichas hazeman. (Inset) The Rosh Yeshivah speaking." So as the green lady in the Wizard of Oz said: What a world! The YATED, takes pride in finally show-casing Isaac Hersh to the world surrounded by the warmth of the Kamenetsky family, and the HAMODIAH showcases Yeshiva Chaim Berlin and RAS in the same week's editions. There must be some Divine irony in all this. Maybe Moshiach is closer than we think. A Kesiva Vechasima Tovah! Harav Meir Greenberg passed away last night. He was a Gaon Otzum who was a talmid choviv of the late Rav Shlome Heiman, zt"l in Torah VoDaas and then went on to learn in Tomchei Tmimim in Otwock. He never forgot his former Rebbe or his shiurim, and made mention of them at every opportunity. 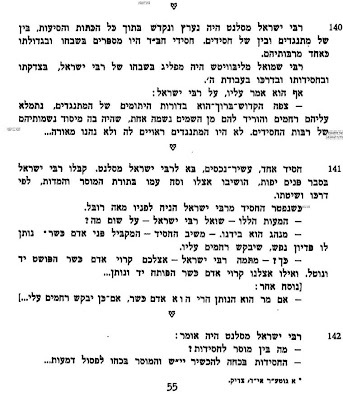 Much of Reb Shlomo's shiurim were written by Reb Meir, and his own sefer - שיעורי גיטין - was full of mention of RSH. You might say he was one of a very select group of Reb Shlome's talmidim alive today. I had the zechus of seeing him sit and learn in the zal of the yeshivah in Morristown where he would come once a week and give a shiur. He would come in, sit down, and never take his eyes off the daf he was up to in gemoroh, unless you went up to him and asked him a question. He was a true example of Shekidoh, Hasmodoh and good middos, he didn't let his brain get in the way of dealing with other people. I was told by some who claim to know that he had a close relationship with the Litvishe Yeshiva that was located in Paterson, that the bachurim there - supposedly top of the line - would come and red in lernen with him. They were apparently impressed by a Lubavitcher elderly yid knowing how to learn - it wasn't what they expected, it wasn't what they were taught. Reb Meir's son Heschel is a former shliach and current independent Rabbi in Buffalo who is very much like his father in learning. 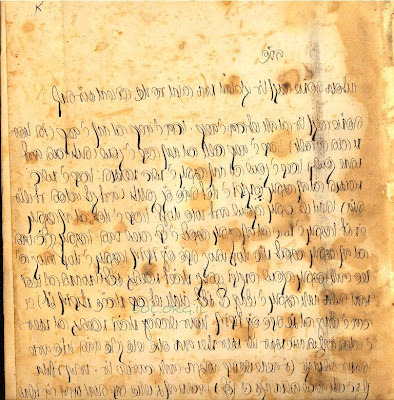 They say that Rabbi Greenberg senior was pretty radical in his beliefs regarding Moshiach and the identity thereo, even to the extent of writing "Yemos Hamoshiach" at the top of his letters. Reb Meir will be sorely missed by all those who merited to bask in his light, myself included. This was not the intention of the anonymous blogger who sent me the question, he seems sincere, but his question was influenced by the kalte vasser that gets poured on anything and everything Lubavitch by certain elements. Everything is suspect when it comes to Lubavitch, and the only people that are trusted are outsiders with agendas like Friedman, Assaf and Erlich, Zechusom Yogen Aleihem. It's sort of like what Conservatives and Republicans in America have to go through on a daily basis. They're always at the mercy of the intellegentsia and the left-wing, and they always need their approval - which they never get. Every once in a while they get a bone thrown to them, sort of like here. but only after aan unaffiliated man agrees to the claim. "Since I have mentioned R. Jehiel Jacob Weinberg a few times, Rabbi Miller called my attention to the new book, Admorei Habad ve-Yahadut Germanyah, pp. 103ff., where R. Avraham Abba Weingort, who is completely trustworthy (and far removed from Habad), records the testimony of two other reliable people from Switzerland who knew Weinberg well. 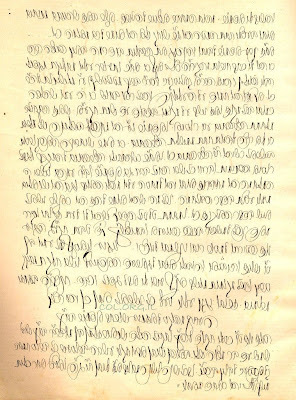 Although there is probably some exaggeration in the details of the story they tell, they report being told by Weinberg that he indeed gave semikhah to the Rebbe, and the circumstances of how this came about (including requiring that the Rebbe come to some of his shiurim at the Berlin Rabbinical Seminary). I can now better understand why the Rebbe's contact information given to the University of Berlin was the address of the Berlin Rabbinical Seminary. From now on, whenever I am asked if the Rebbe received semikhah from Weinberg, I will reply yes." 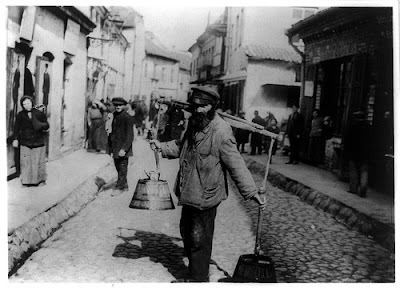 Ad Kan from Seforim Blog. 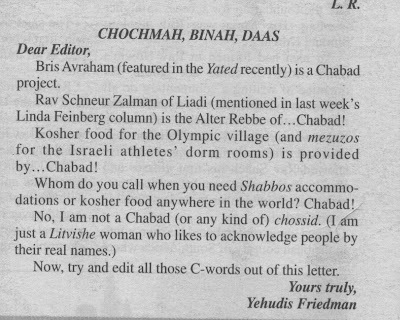 The blogger is not happy with this proof and goes on to ask me: "So did the Rebbe have semicha or not?" I'm not בתוך הענינים now so I don't have the answer, maybe some of you would like to continue the conversation in the comments section. Except for curiosity of what matter is it if the Rebbe had semicha or not. He was a rebbe not a rav and a good number of famous 20th century gedolim never bothered with Semicha. Given the fact that the Rebbe promolgated the minhag of Bais Horav to obtain semicha and the fact that Mendel Horenstein also did such, its a sure thing the Rebbe had semicha. I hope we are not going to enter a dispute here if the Rebbe could learn Gemora and Shulchan Aruch. Like Reb Moshe Edrei does. You people here tell me that I don't have the fear of G-d in me, that I mock and poke fun, and that I'll pay for my terrible cations one day. Let the sounding of the ram's horn - albeit recorded - prove you all wrong. Moshe is of Moroccan descent, yet he looks and blows like a Lubavitcher Chossid from Nevel. Well, almost, that Shevorim was a bit shvach. He was educated in Lubavitcher Yeshivos in Israel just like hundreds and thousands of others who found most other Ashkenazic Mosdos closed for them. I guess some of you might say that they robbed him of his heritage and made him become a bland Lubavitcher, one of the masses, right? Just like the old Soviet Union where all people were moved around the Union and were forced to speak Russian and often made to forget the language and culture of their people, right? What an awful group of people those Lubavitchers are... But before you agree remember this: At least they didn't make them wear the Hungarian hats that the Satmarer put on their Teimener converts. 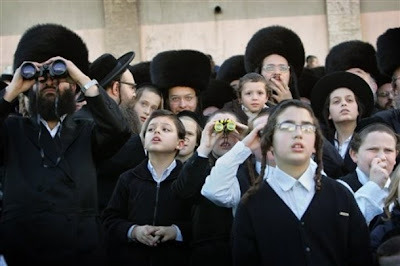 The fedora is something that all Sefardim adopted in Israel, the tsholent tup is not. Also, Sefardic culture thrives in Chabad centers in Israel and abroad, with Sefardic minyanim and Selichos from Rosh Chodesh Elul onward. There's even a Baba Sali Hillula, as well as one for the Or haChaim HaKodosh.